Donald Trump met with The New York Times brass on Tuesday. Reporters covered the event from the lobby. They didn’t know their microphones were on. 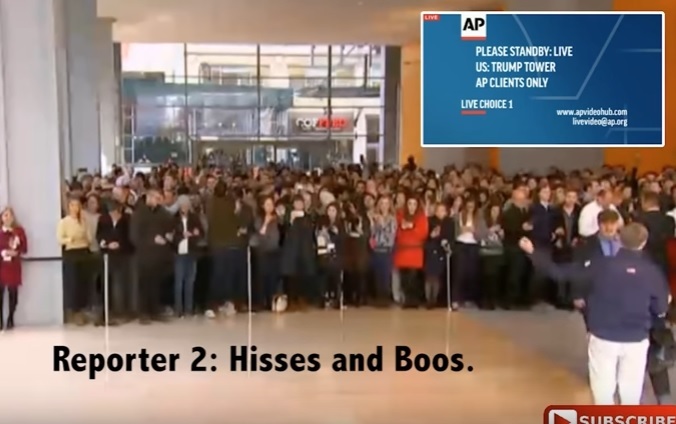 Reporter 2: Cheers or Boos from the crowd… What say you guys?